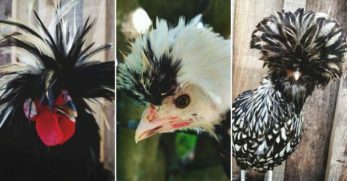 If you’ve never seen one of these interesting chickens, they certainly might take you by surprise! 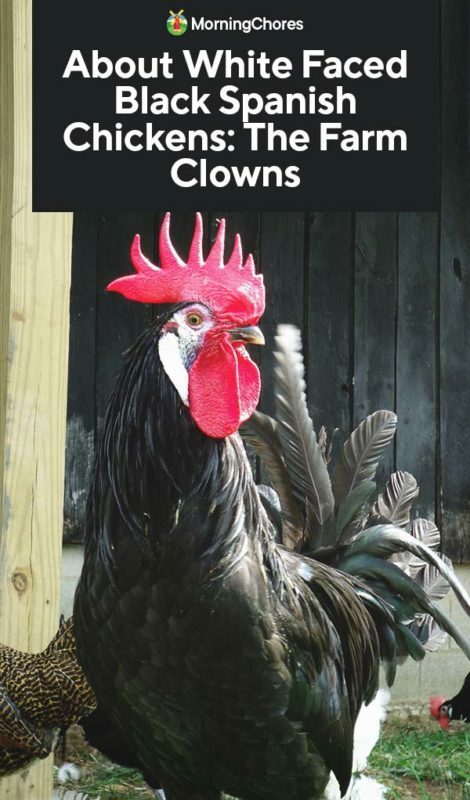 White Faced Black Spanish chickens have gained the reputation of looking like a clown for a good reason. These chickens have more to them than just a funny face though. 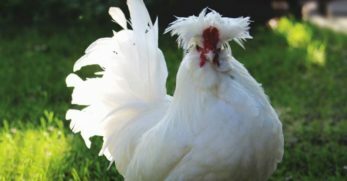 This breed is a great chicken for farm life where large white eggs and an active personality is very welcome. 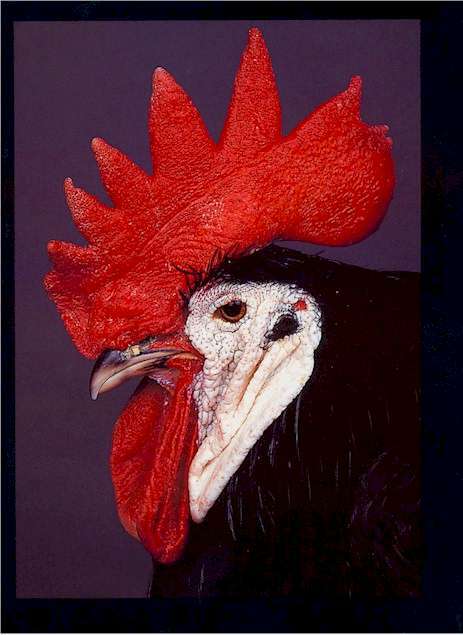 White Faced Black Spanish chickens are listed as critically endangered by the Livestock Conservancy. These chickens are undoubtedly in desperate need of some dedicated breeders to help re-establish their numbers. 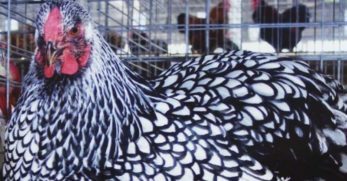 Possibly the first breed to come to the United States, these birds were officially introduced to the American Poultry Association in 1874. 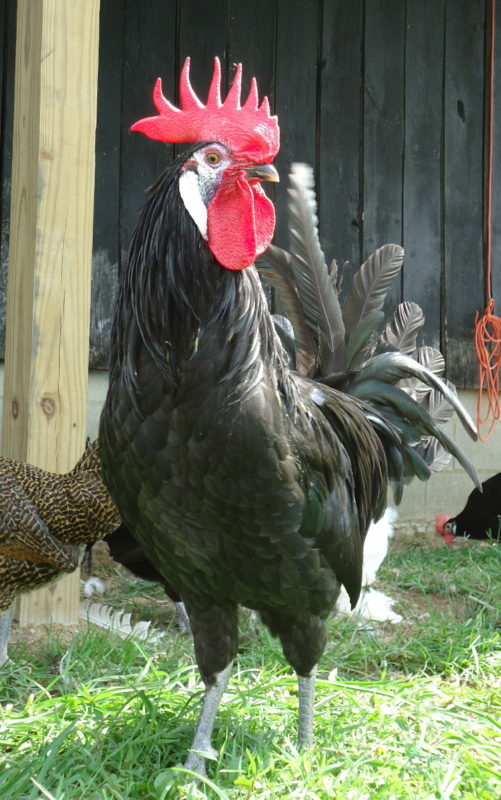 The White Faced Black Spanish chickens are reasonably large birds if they come from good breeder lines. A male White Faced Black Spanish tends to weigh around 8 pounds when fully grown. 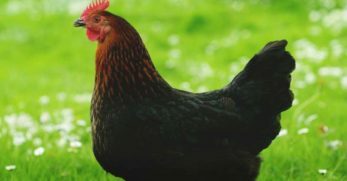 Hens, on the other hand, can be a bit smaller as they weigh about 5 to 6.5 pounds fully grown. White Faced Black Spanish aren’t known for having the best temperaments out there. 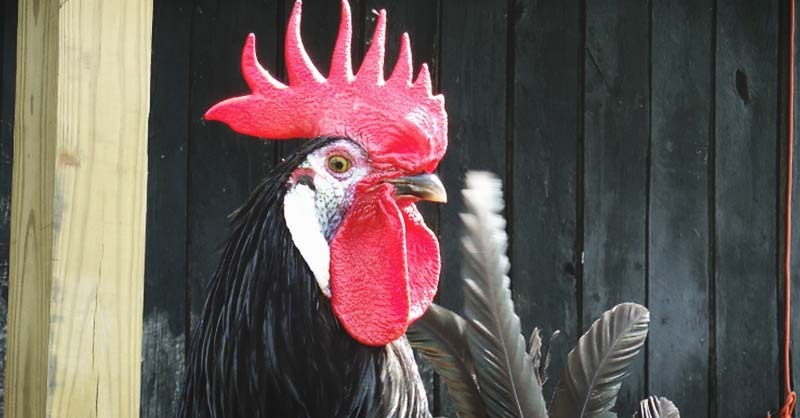 While they are not particularly aggressive, these chickens aren’t incredibly friendly. Definitely a breed more interested in running with the flock than being a lap chicken. However, their wild personality will do these birds well when it comes to evading the efforts of predators. 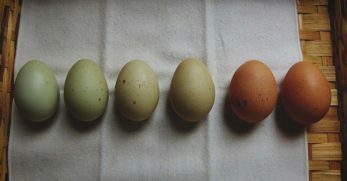 Egg production from the White Faced Black Spanish is not anything to complain about. One of the best-known traits in these birds is their frequent production of large white eggs. 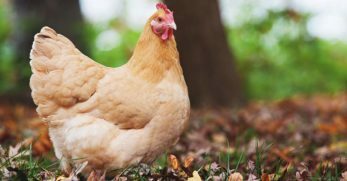 You can expect around 180 eggs per year from a single hen. Perhaps meat production from White Faced Black Spanish chickens isn’t the best, but it’s not terrible. 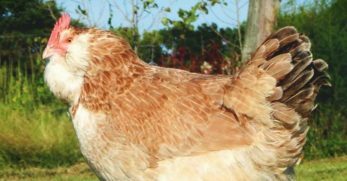 The hens of this breed can tend to be on the smallish side of the scale, especially with the way White Faced Black Spanish breeding lines are going at the moment. However, the extra roosters can provide some meat and are definitely worth processing. White Faced Black Spanish enjoy free ranging and do very well in such an environment. At the same time, these birds don’t mind staying in a run if it works best for you. 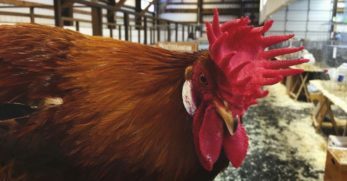 Inside your coop, be sure to provide a minimum of 4 square feet per bird to ensure the pecking order stays calm. For your run, make sure your chickens have at least 10 square feet per chicken. The higher the fence, the better, even my large breed chickens like fence hopping! 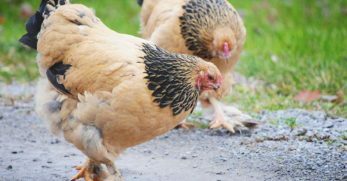 These chickens can deal with some occasional weak immune systems, so you’ll need to supply your birds with the healthiest diet possible. When your White Faced Black Spanish chicks are freshly hatched to 8 weeks of age, supply them with a good chick starter. Around eight weeks old, make sure your young birds are on a starter/grower combo until about 16 weeks old. 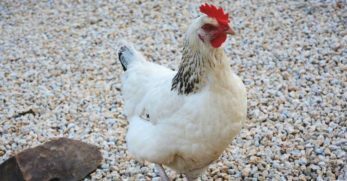 Once your chickens are about 16 weeks old, they are old enough to transition to a good laying feed. Supply your flock with some supplemental calcium in a separate dish so your eggshells will be nice and strong. 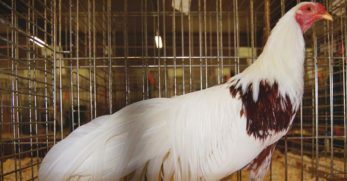 In breeding these birds, breeders have made the common mistake of focusing too much on one feature such as large white earlobes and ignoring other important aspects such as overall health and vitality. Due to this issue, some White Faced Black Spanish can be lacking as far as immunity goes. 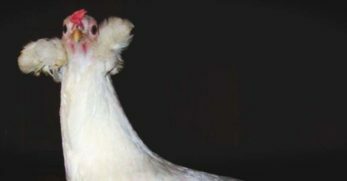 Not much can be done about this issue other than purchasing from trusted breeders to get the healthiest chickens possible. Maintain your flock with a close eye for potential issues to catch sickness early on in the game. 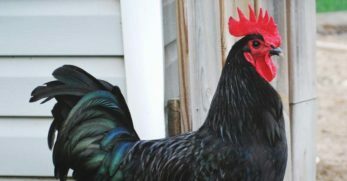 For some aspects of breeding chickens, White Faced Black Spanish can be easier than others to breed. 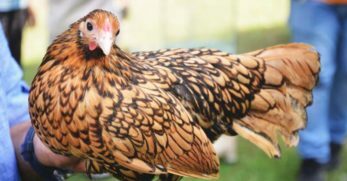 Since this breed doesn’t sport any extravagant feather patterns, you don’t have to worry about perfecting feather designs. 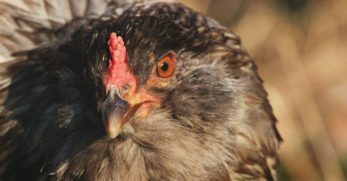 However, there are still important aspects of breeding these chickens you need to be diligent about. It is important to breed for healthy birds just as much as you’d breed for feather coloring. Because breeding lines have become so limited, there has been severe inbreeding which has weakened the bloodlines. 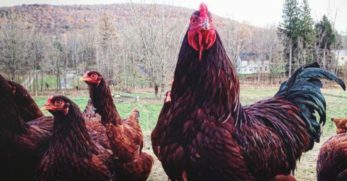 Make sure to constantly add new blood to your flock and cull any less than healthy chickens. Minorcas are incredibly similar to the White Faced Black Spanish, but the White Faced Black Spanish is an older breed. White Faced Black Spanish have better egg production compared to a Minorca; however the two share the same personality. The full glory of a white face on these chickens doesn’t appear until your chickens are a year old! For this reason, it’s best to wait until your birds are older before breeding them so you know what you’re putting into the next generation. 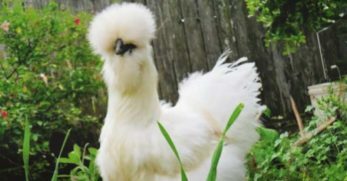 This is definitely a breed of chicken that needs your help to make a comeback in the chicken world! 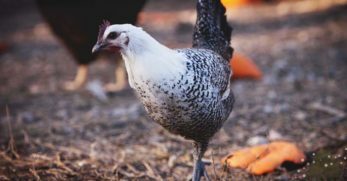 Active foraging dispositions paired with large white eggs makes an incredible homestead roamer, and you’ll love having these birds around.